Speaking of attractive actresses in the Universal Mummy films, Ramsay Ames in The Mummy's Ghost, while a limited actress, was still quite a stunner. She was even more impressive in colour, having a small part as one of Maria Montez's attendants in Ali Baba and the 40 Thieves. According to director William Witney, Republic Studios stuntmen suffered more injuries running on rooftops to get a better look at Ramsay Ames walking across the backlot than were hurt performing dangerous action sequences in the studio's westerns. Yes, I remember her in Ali Baba. She played a rat. One of the problems with The Mummy's Ghost (and there are several) is that Ames' hair develops that "Bride of Frankenstein" streak, yet nobody seems to ask her about it. They're too stunned about everything else about her to notice. In this film, Frank Reicher takes forever to decipher the numeral "nine" in hieroglyphics, yet he is supposed to be an expert. Of course, this leads to his undoing. The Mummy's Curse features a good-looking Virginia Christine, who would later hawk Folger's coffee on television. Way to leave out her later, pivotal role in BILLY THE KID VS. DRACULA. seriously tho, i can watch from 16 seconds in to the end of this clip on loop for an hour and laugh EVERY SINGLE TIME. 2 a.m. Pauline at the Beach (1983). An Eric Rohmer film that I’ve wanted to see for a long time. John Carradine in his three appearances as Dracula (that I have seen) was the most easily dispensed of "monster" of classic cinema. Like no effort at all involved in taking him out. The bad guys always tried this technique on Superman, but it never worked. Lewis Grizzard had a comedy routine about people shooting at Superman and then throwing the gun as if that would do something. And Superman always ducked. Tomorrow at 6AM is the 1929 version of Showboat. It is largely silent, but there are a few talking sequences in it. Oddly enough Universal tacks a prologue on the film in which some of the songs from the musical are performed. In prior years on TCM there would be an announcement that this film contained a commentary track. I think that is back when Warner Bros. was planning to put all three versions out on regular DVD together, but that never happened. Bogie, I hope you like Pauline at the Beach. I remember liking it quite a bit. I'd like to see more of Rohmer's films on TCM. 4 a.m. 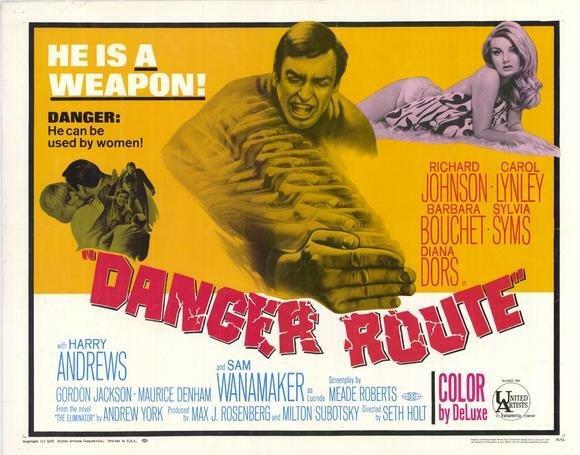 Danger Route (1967). English cold war thriller that didn’t get great reviews but has a good cast that includes Diana Dors, Sylvia Syms, Gordon Jackson and Sam Wanamaker. 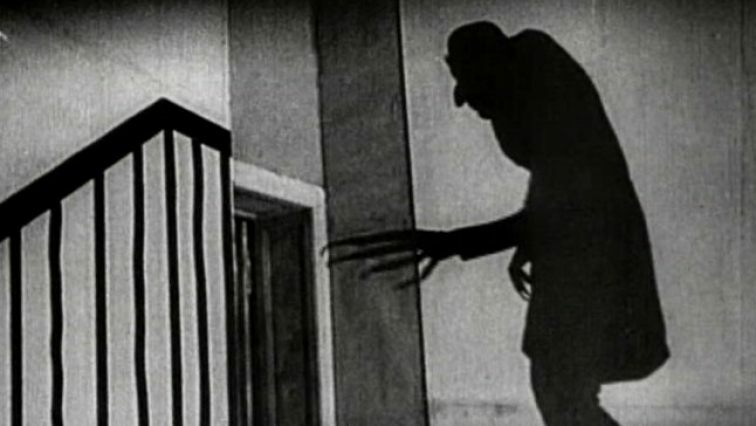 Also on tonight 10/7 at 12:00 at night is Nosferatu. This is a very beautiful film and I try to watch it at least once around Halloween each year. If you like documentaries this is the day for you. 8:30 a.m. 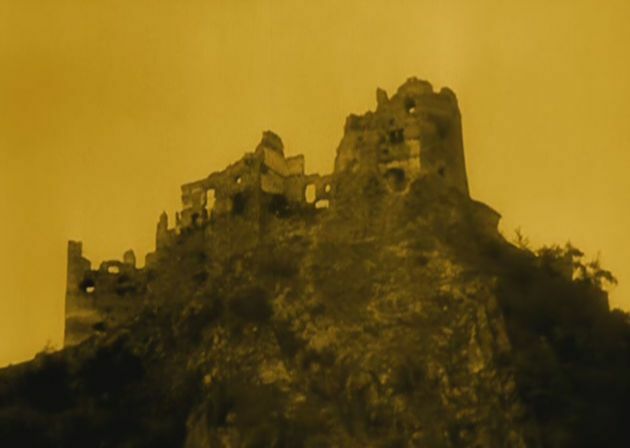 The Spanish Earth (1937). Spanish Civil War film that won The National Board of Review’s Best Foreign Language Film. By Joris Ivens. 9:45 a.m. The Plow That Broke the Plains (1936) Short film by Pare Lorentz that has been preserved by the Library of Congress. 2 p.m. The Sea Around Us (1952). Pre Voyage to the Bottom of the Sea and The Towering Inferno Irwin Allen made this Oscar winning doc. This might be a premiere? 3:15 p.m. 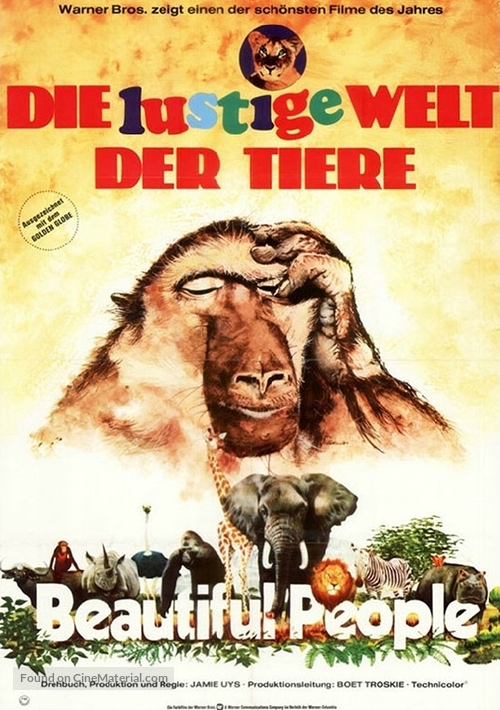 Animals Are Beautiful People (1974). Winner of the Golden Globe Best Documentary feature. A comic documentary by South Africa's Jamie Uys of The Gods Must Be Crazy (1980) fame. 11:30 p.m. Dracula, Prince of Darkness (1965). If I’m not mistaken this may have been restricted to those over 18 in Ontario when it first came out. In any event I was too young to see it when it was released and had to content myself with reading the novelization which I wish I still had. I recorded this, but havent watched it yet. Was wondering if it was a silent, how could it still be a musical? Sort of as if the first movie had spent more time on the introduction before dropping the Coke bottle. 8:15 a.m. Behave Yourself (1951). 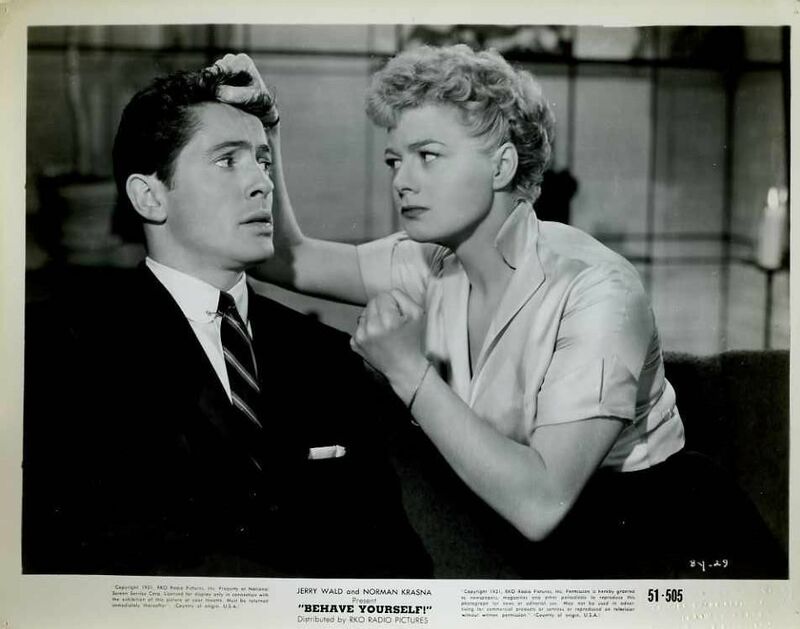 In her autobiography, Shelley Winters writes about how close she and co-star Farley Granger came to marriage. Sadly, Shelley proved to be too much man for Farley to handle. This is not the cover of the novelization that I recall. And it was as full length as these novelizations usually are. An easy blood-thirsty read for an eleven year old. 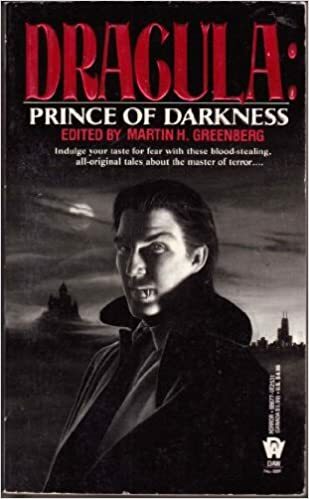 seems like DRACULA, PRINCE OF DARKNESS would make a better novel than a movie.